Mid century Modern Fish Plate with M mark? 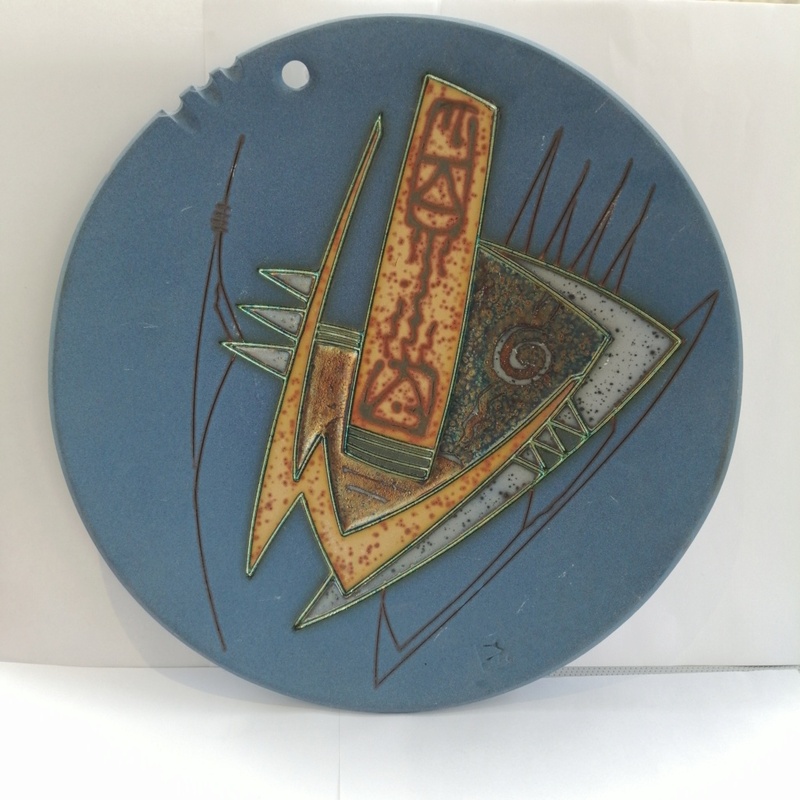 I am hoping the style of this very arty plate /charger will be blindingly obvious to someone, but it has left me clueless! There is a mark that looks a bit like an M with a little dash on the side and a dot in a square.. There is nothing on the back its just plain blue. 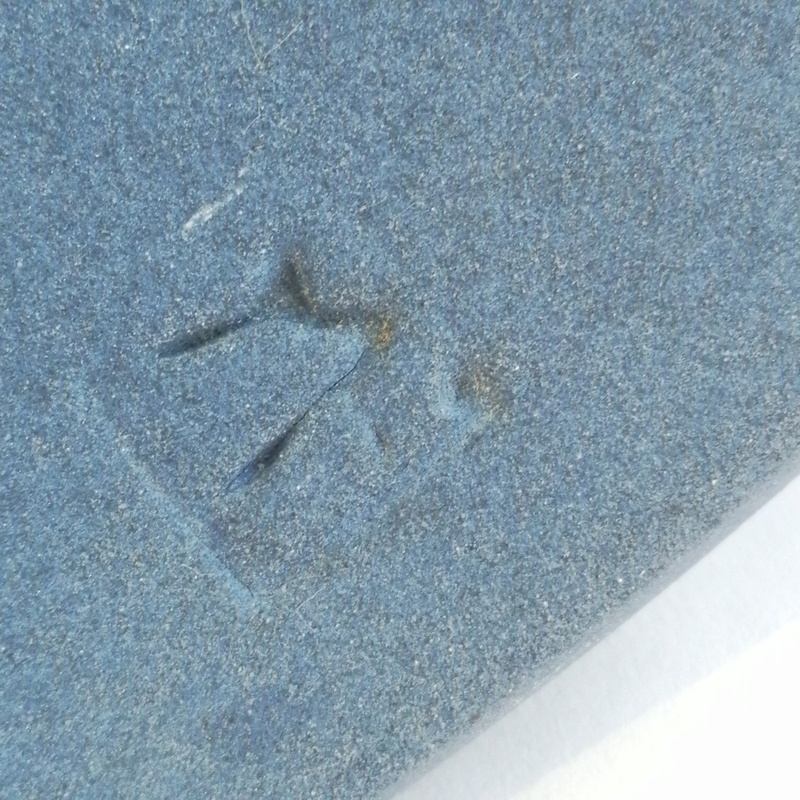 The overall blue is a glaze that feels sort of matt finish gritty like.. Can anyone ID this please? Many thanks. Re: Mid century Modern Fish Plate with M mark? Indeed, it definitely looks Scandinavian 50's/60's style. But wonder what the M is? I hadn't considered Scandinavian.. thanks Philpot.. a direction is helpful..